CaesarStone is the original quartz surface manufacturing company that introduced pioneering innovation in the field of quartz surfaces. Our quartz surface product is commonly referred to as "CaesarStone" by retailers and buyers please make sure you ask for the authentic product that is manufactured by CaesarStone when specifying or purchasing our quartz surfaces. CaesarStone's quartz surfaces are ideal for virtually any interior surface from kitchen countertops, bathroom vanities and stairs, to wall panelling and interior furniture. CaesarStone offers the industry's widest range of colours and structures and meticulously meets the demands of even the most exacting residential and commercial clients. Although long used for the finest residential worktops, CaesarStone also offers an attractive and versatile finish for commercial and institutional buildings. Our quartz surfacing is tough enough for wear and tear on virtually any interior surface, and attractive enough for any design inspiration. 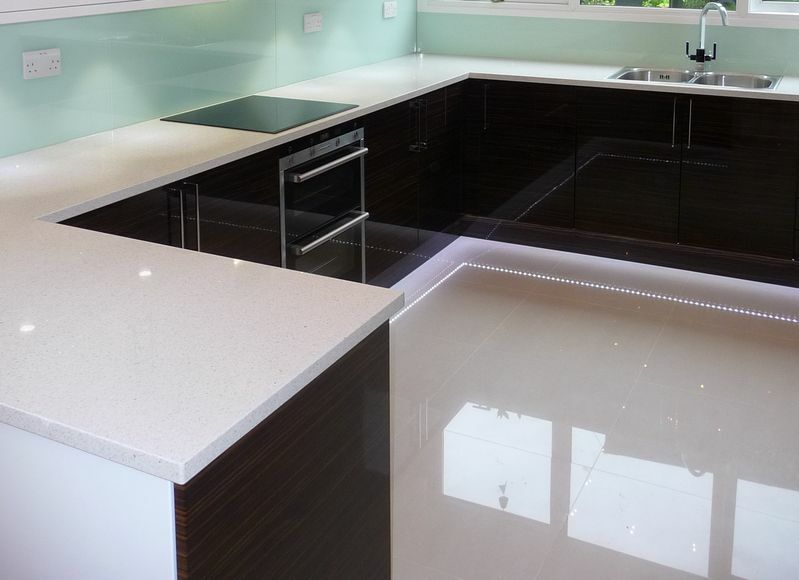 If you are looking for genuine Caesarstone quartz products in Essex then call E Elfes today. Using the finest quality Granite & Quartz, we manufacture, supply and fit kitchen worktops to the highest standards in Forest gate. Making beautiful use of natural material to complement your home. We have a wide selection of samples at our shop and would be happy to show you all the available colours. In addition to Granite Kitchen Worktops, we also supply Blanco sinks which are one of the best quality makes you can buy. One of our team of expert stone masons will always be available should you require any advice or assistance with any of our high quality products. Please email us your plans for a free no obligation quotation. Thank you for visiting our website today and if you require any further information on the services we offer and would like a free no obligation quote then phone us now on the number at the top of the page or by filling in the short form on our ' Contact Us' page.